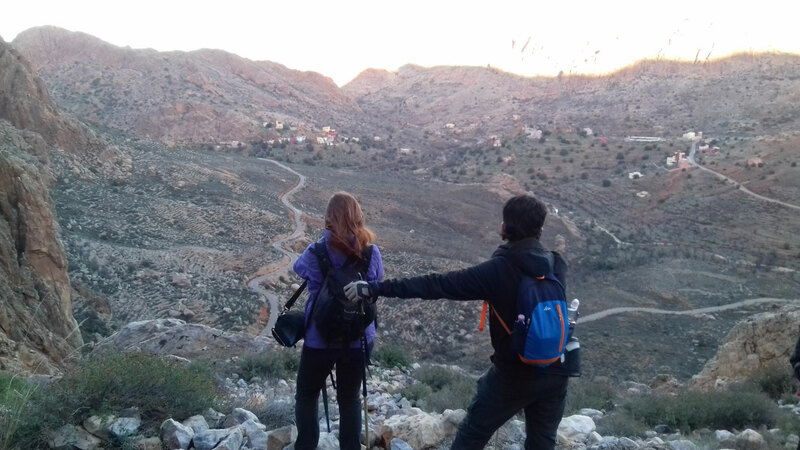 Day 1: Agadir – Ait Baha – Tizi Ozzemmour. Arrival in Agadir, immediate departure by minibus to Ait Baha and the Tanalte road. A short warm-up walk to get to the tents near Tizi Ozzemmour (1100 m altitude). 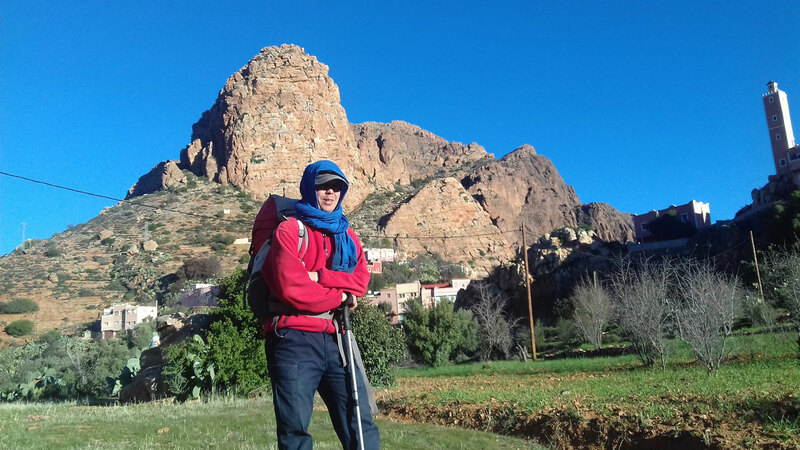 Day 2: Tizi Ozzemmour – Taghzout – Mirgane – Imi N’Taghzout. Departure for Taghzout (optional ascent to the summit at 1950 m altitude), and then on the village of Mirgane. We will explore several isolated villages in this desolate terrain. We pitch camp near Imi N’Taghzout (1600 m altitude). 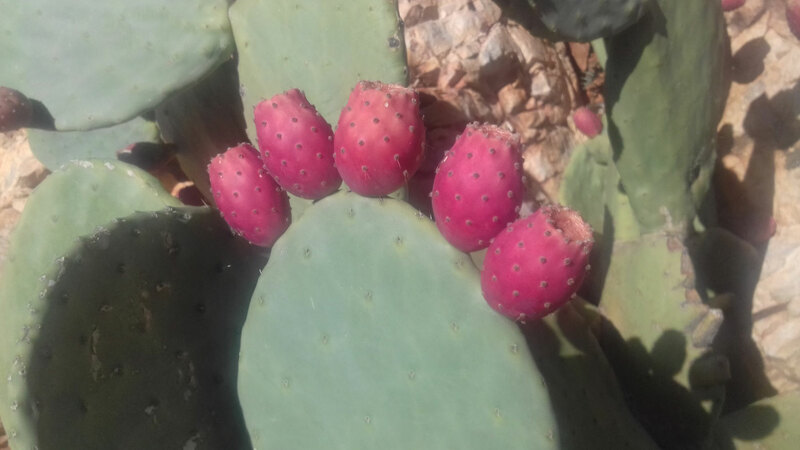 Days 3 and 4: Imi N’Taghzout – Ait Iftane -Tagdicht. 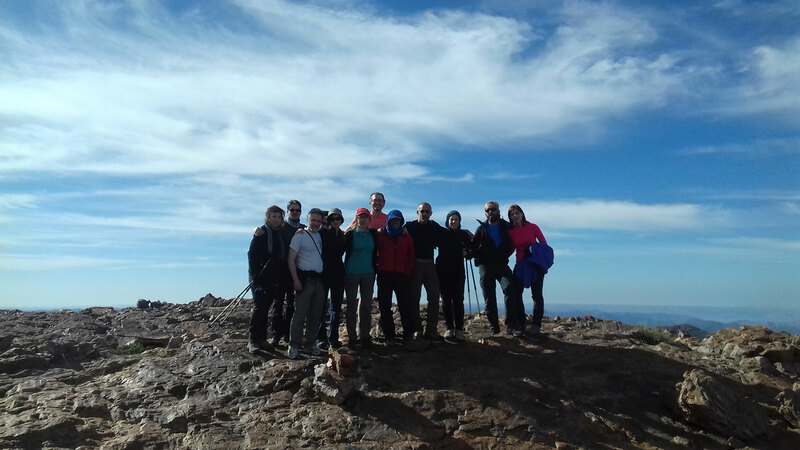 Descend to the village of Aït Iftane at the foot of Jbel Lesk, then across the massif revealing a magnificent view over the Ameln and Tafraoute valleys. Then down to Tagdichte. Day 5: Tagdicht – Tafraoute – Aguerd Oudad. A hike against a wonderful sunlit backdrop of ancient pink granite rocks. There is time to explore the forests of palm trees at Tafraoute with its superb old houses. 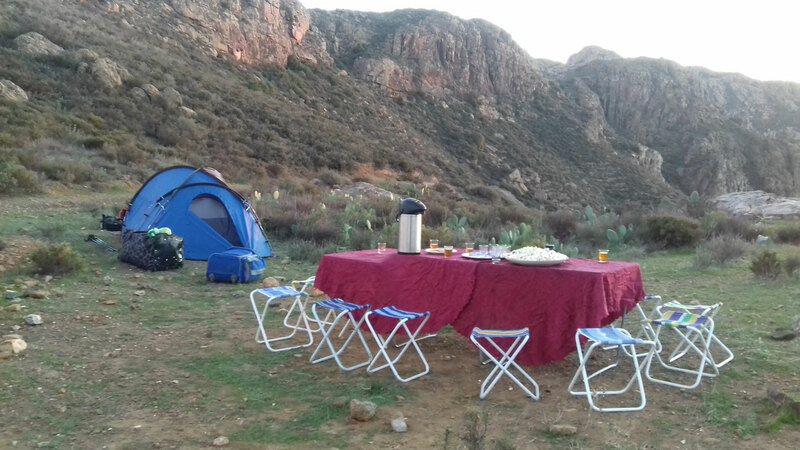 Camp is set up near Aguerd Oudad (1000 m altitude). Day 6: Aguerd Oudad – Ait Mansour. Through the village of Dousderm and up to the Amanouz plateau (1650 m altitude) to get to the Aït Mansour gorge. Camp is set up in the valley. 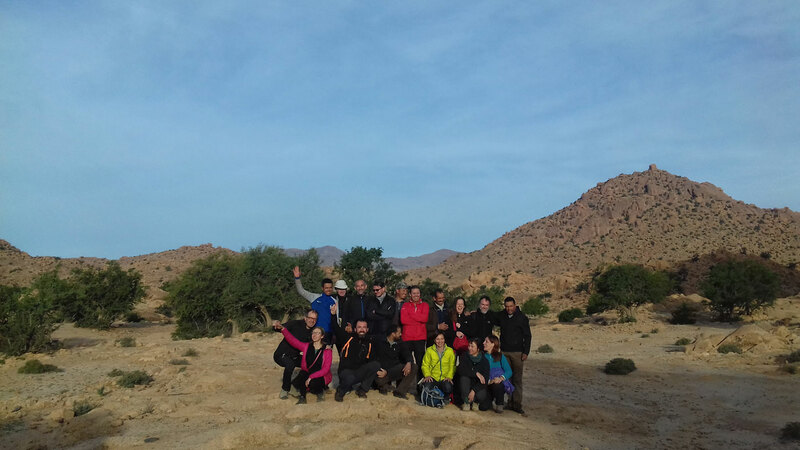 Day 7: Ait Mansour – Agadir. A walk through the Aït Mansour valley under the shade of palm trees a final picnic beside the river followed by the return journey to Agadir. A well-deserved night of comfort in one of the hotels in Agadir.